BAJA ORGANIK MAS HITAM (E.M) BOKASHI - SARJANI (M) SDN. 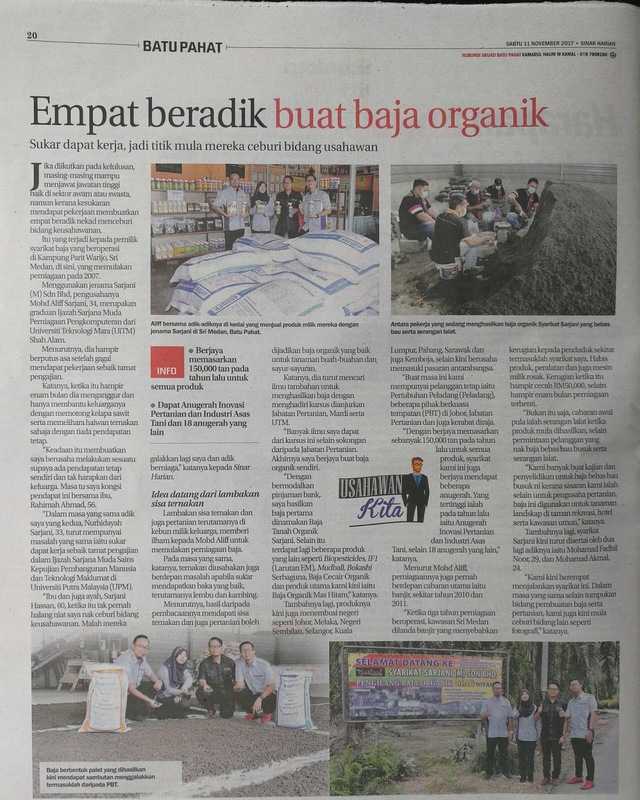 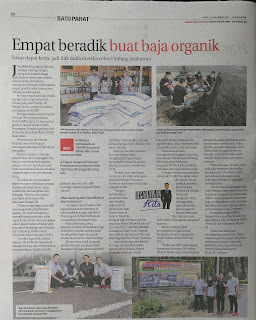 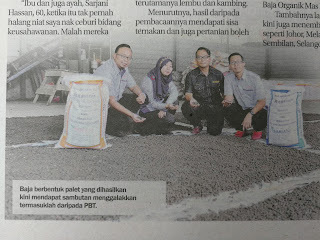 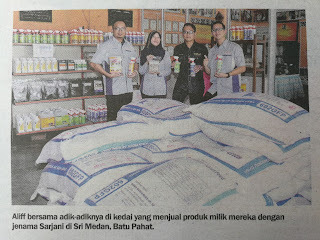 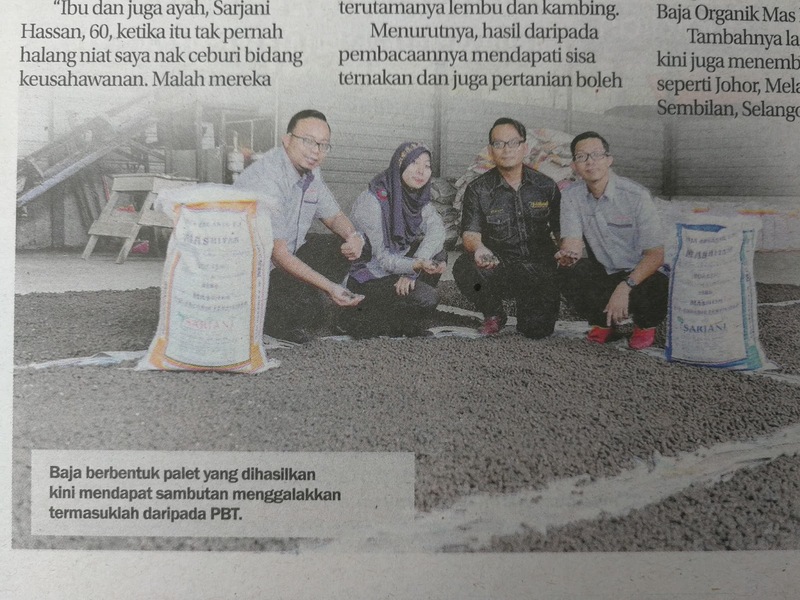 BHD./SARJANI ENTERPRISE: EMPAT BERADIK BUAT BAJA ORGANIK - Sinar Harian 11 November 2017. 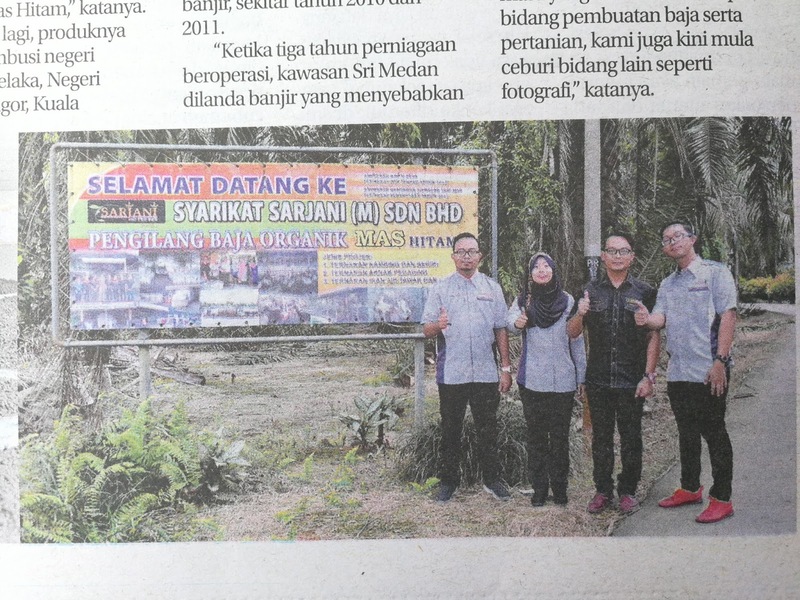 EMPAT BERADIK BUAT BAJA ORGANIK - Sinar Harian 11 November 2017.